Satyendar Jain was examined twice by the CBI while his wife was quizzed once. AAP has refuted the allegations levelled against Satyendar Jain by the CBI. 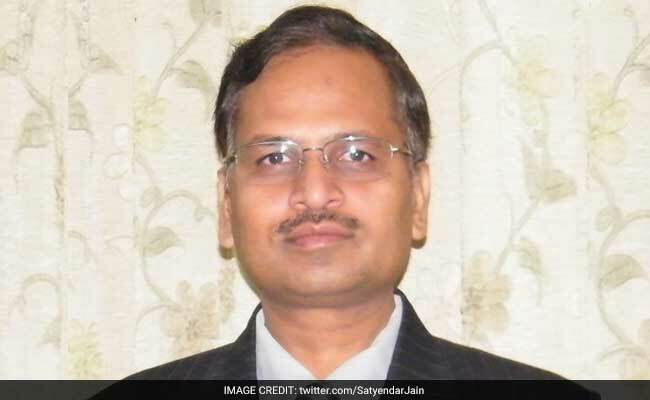 New Delhi: Delhi Health Minister Satyendar Jain could not explain funds received by four companies in which he is a shareholder, CBI sources said on Saturday, following registration of a case against the AAP leader, his wife and four others in connection with money laundering allegations. The CBI sources said a total of Rs 4.63 crore was allegedly received through Prayas Info Solutions, Akinchan Developers, Managalyatan Projects and Indo-Metal Impex Pvt Limited -- in 2015-16 while Mr Jain was serving as a minister. The sources said the minister and his wife were allegedly one-third shareholders in these companies during the period. During the questioning, the minister and his wife could not explain Rs 1.62 crore -- approximately one-third of funds received by the companies during 2015-17, the sources said. Mr Jain was examined twice by the agency while his wife was quizzed once, they said. The CBI has alleged that the minister had control over these companies either in the form of being one of the directors and by holding one-third of shares of these companies in his name or in the names of his family members or others. "Although, he had resigned from directorship of the three companies in 2013 before contesting elections, however, his investments in these companies were allegedly continued," a CBI spokesperson said. He said it was further alleged that the companies did not have any business and were shell companies and were utilised for parking money in the form of investments in equity shares in connivance with Kolkata-based shell companies. "This apart, before becoming a public servant, he was allegedly involved in laundering of Rs 11.78 crore during the years 2010-12 through these companies as well as other companies also based in New Delhi," the CBI has said. 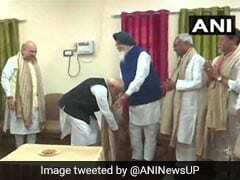 The Aam Aadmi Party today vehemently refuted allegations levelled by the CBI. It said reports of Mr Jain's involvement in shell companies and 'benami' land deals are baseless. "It is a lie, they should prove it" the party said. The funds were allegedly used to purchase over 200 bighas of land in villages of Auchandi, Bawana, Karala and Mohammed Mazvi in Delhi between 2010-16, CBI sources said. The sources said over 30 shell companies based in Kolkata helped the four companies facing the CBI probe, through accommodation entries by purchasing their shares at inflated prices and selling them back at a different price. Three contact persons of the Kolkata-based shell companies -- Rajendra Bansal, Jeevendra Mishra and Abhishek Chokhani -- are also under the CBI scanner. The sources said the companies in which Jain and his family were shareholders had no genuine business yet such huge amounts were being received by them. The agency yesterday registered an FIR against the minister, which is the first one against the AAP leader. "It has been alleged that the minister while functioning as a public servant has amassed assets disproportionate to his known sources of income to the extent of Rs 1.62 crore (approx) during the period of February 14, 2015 to May 31, 2017. 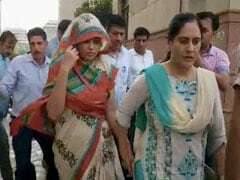 His wife and associates have allegedly abetted the commission of the offence," the CBI said.